Do you believe what goes around, comes around? Not just bad karma. Good things too! Well I hope in this case it does, and when it does come to NYC you've got to see it. Too cool for school! Ever been in a glowing pumpkin patch? 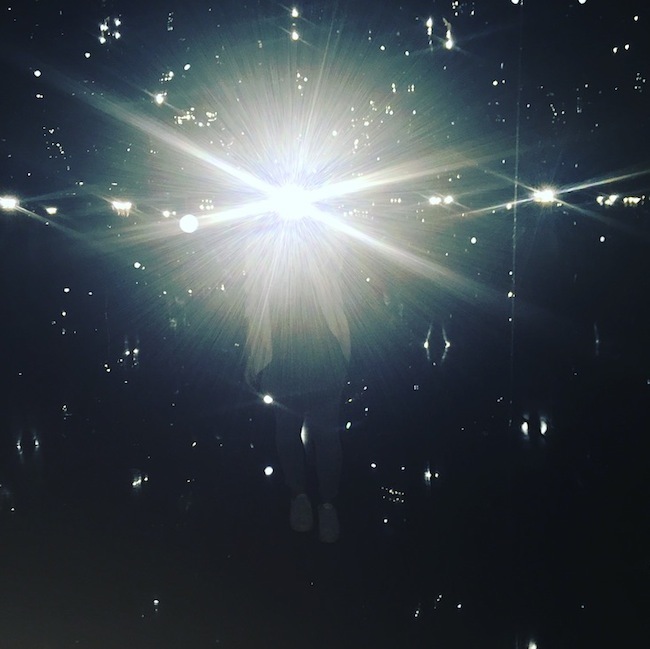 I experienced this in London last week at Victoria Miro Gallery. 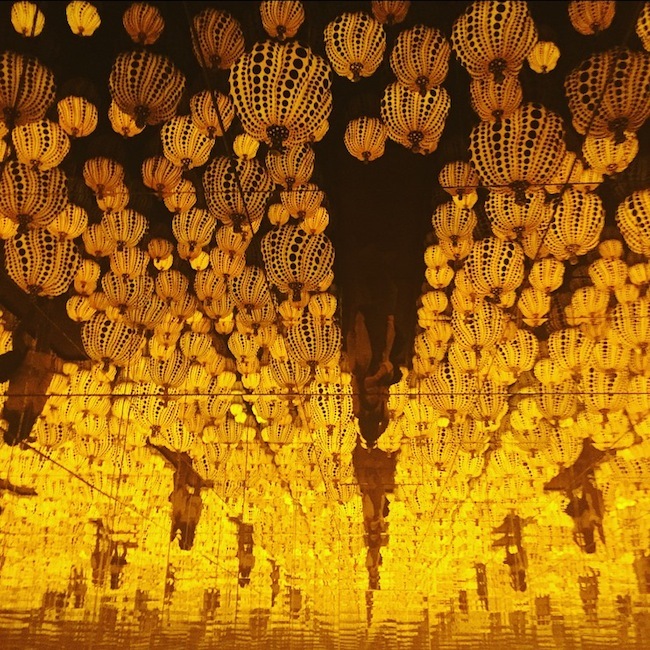 It is an installation by the Japanese artist Yayoi Kusama, called 'All the Eternal Love I have for the Pumpkins'. From the outside it looks like a discreet cube box. 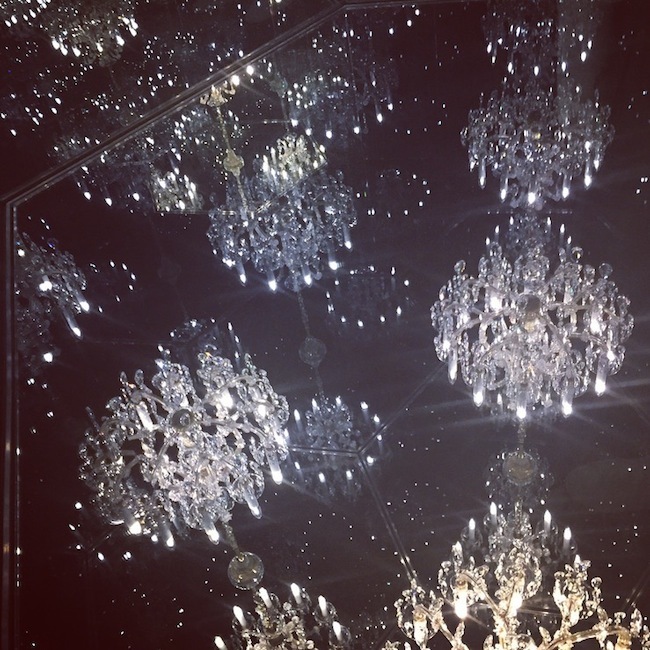 But once you step inside it is a magical room filled with mirrors and glow in the dark pumpkins, embellished with her iconic dots. It's awesome! 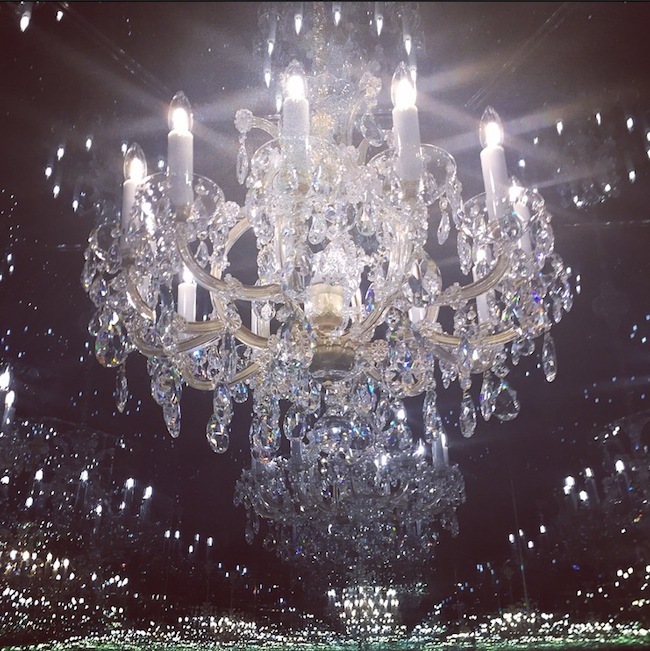 On the lower floor of the gallery there was another installation of hers 'Chandelier of Grief'. 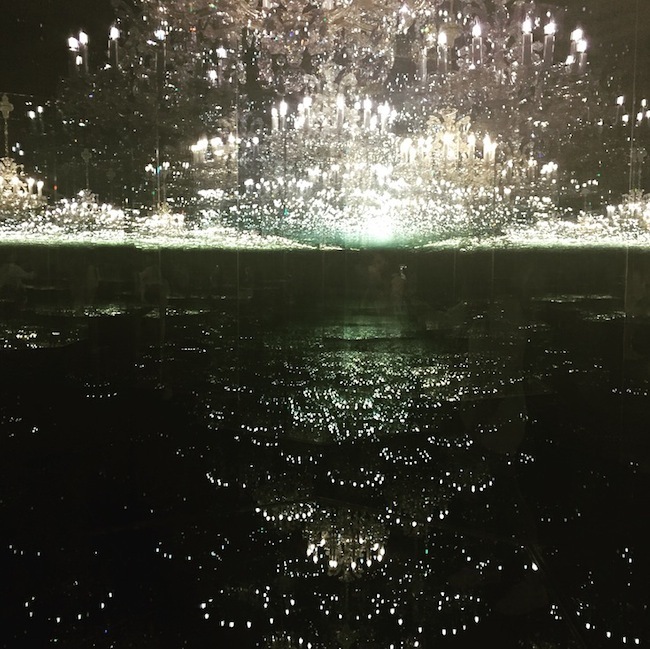 Again a similar concept, set in a cube box, filled with mirrors, and a single chandelier that reflects light in a million different ways. Outside in the garden section there was another cube box made from stainless steel and aluminum. Tiny holes were in the walls allowing natural light to peep through. This one is called 'Where the Lights in My Heart Go'. The Narcissus Garden is also a treat. 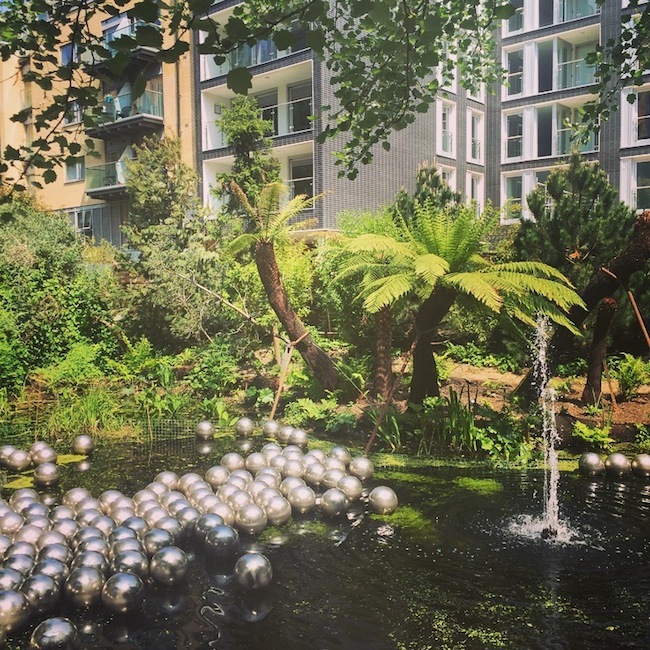 873 stainless steel spheres. Modern zen. Isn't her work so innovative? I've always loved Yayoi Kusama's works of art. If your also a fan you can catch it in London till July 30, 2016. Otherwise lets pray this exhibit comes to our neck of the woods soon.